Biker jackets have been in for quite some time now, and they are still going strong and trendy, so to say. Still, fashion changes and continuously reinvests itself and even styling up a biker jacket, or a faux leather one isn’t what it used to be a few years back. At the same time, it is important that every fashionista knows the latest way to style and wear a biker jacket, right? 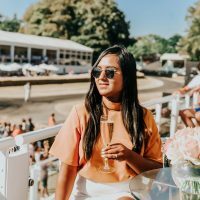 Here is our styling guide with ideas that might inspire you. Especially skinny black jeans, I may have to add, make an excellent combination with a leather jacket. The reason is that together they create this rock star/ biker style that is so easy to create. Leggings are also an excellent way to style and wear a biker jacket and a great option, given the easiness that comes with wearing them. When it comes to styling a biker jacket you should consider a top that has a cool pattern or print on it. For example, a smart choice would be a black and white striped top or blouse, but a two-toned Madras pattern would also do if you’re looking for a more laid-back hippie look. If you’re looking for some elegance, a simple white shirt is also an excellent choice. Last but not least, you shouldn’t forget the wide brim Fedora hat when you’re rocking your biker jacket. Why? The wool felt Fedora is so in right now, and all the fashionistas know it. It adds some sprinkle of style and elegance, as well as attitude to your overall outfit. So, if you’re the kind of woman who loves fashion trends and also liked to stand out, get yourself a wide brim Fedora hat and you’re ready to go. Of course, a pair of boots, a hobo bag or a fringe bag will complete your look, and if you also throw a stylish scarf around your neck, there’s nothing more to add. 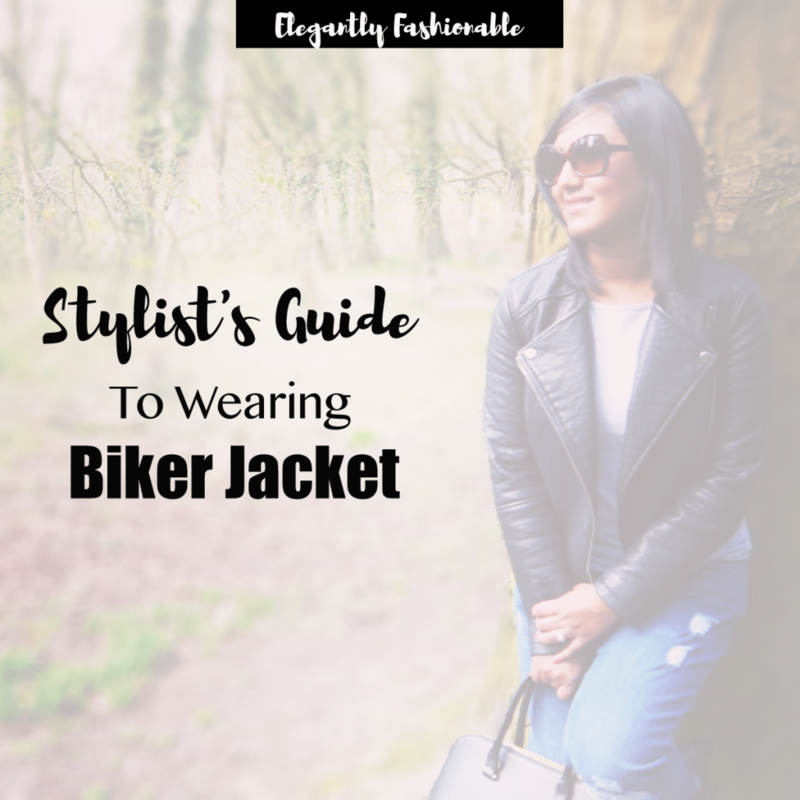 Now you know how to wear in style your biker jacket! Do you wear a biker jacket? How would you style a biker jacket, I would love to hear from you guys so leave your comments below. I love pairing leather and floral! It’s such a fun combination. I think I need to get a biker jacket after reading that. I just have a regular Leather Jacket, perhaps I can ask Santa to bring me one…hehe. I love biker jackets!! great post. too bad im not a fashion blogger, i got no link to any of my blog post to follow through with the link up party! I’ve always wanted a bike jacket. I don’t look good in them though, I can’t seem to pull it off. You look great though! I love my biker jacket! Always my go to! I’m always so intimidated by leather jackets, but I think they look fab on other women. I’m going to have to try it one day! 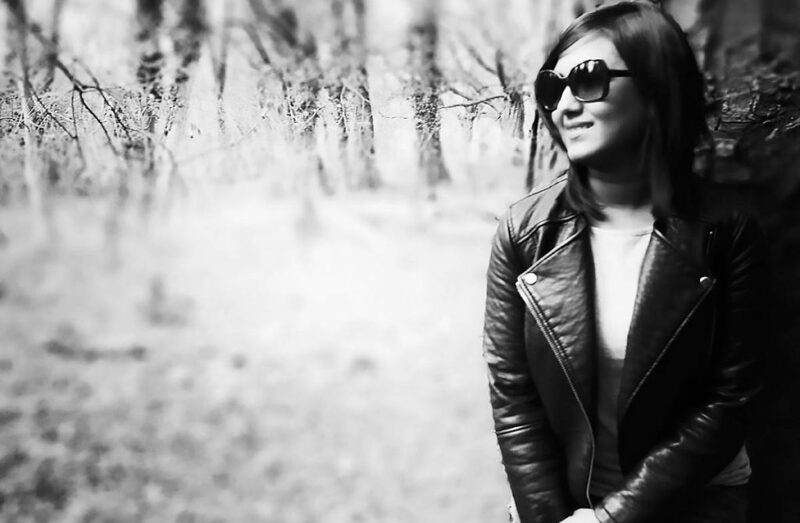 I love wearing my biker jacket with all black everything! Great tips! I bought the sexiest leather jacket this season and have literally been living in it! Thanks for the tips to spice it up! !